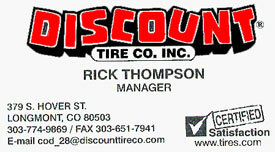 Wednesday April 11th, 6:30pm to 9:00pm - Meeting, Moose Lodge #1548, 2200 Pratt Street, Longmont, CO 80501. Open to all members and guests. The lodge is one street west of main, between 21st and 23rd on Pratt Street. We'll be in the north hall. Folks who arrive early will need to enter at the main entrance, take the 2nd left, off the lobby, enter the middle hall and continue north to the north hall. The front door is a key card door but there is a button for the bar tenders to open the door. Those that arrive early can prop the door open on east side of the north hall so folks can park on the east side of the building and enter through that door. Treasury amount and Fund amount. Vote in any new members. Update calendar of events. Leaders to inform club on changes made to the online calendar. Planning for COA4WDCI 2nd Q meeting. Planning for Henry Mountains trip. Planning for Memorial Day club picnic. Voted in our new members, Allan Cobb, Mark and Amy Melany. No guests. Treasurers report was read. Fund report was read. Pennant orders for All 4 Fun. Contact Greg or Wanda. TRR Trivia results. See article. Ladies lunch at Old Chicago on March 31 at 11:00am. Motion to close meeting by Debbie Trever and second by Vic Walter. Meeting adjourned. The TRR Forum is on our Club Express page. Go to TRR Main page and login. Click your member section in the upper right and then click on your profile. Select the Froum link at the bottom to set your preferences and forums you want to join. 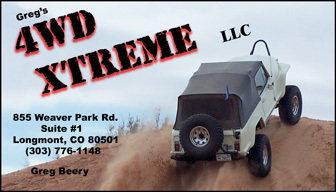 You can also send an email to forum@trr4wd.com, which will go to all TRR members. Old List: Email TRRtalk-subscribe@yahoogroups.com from the email account where you wish to receive these emails. Please include your first and last name in the email so we can verify your membership status prior to approving your request to subscribe. The following people are signed up to bring refreshments to the club meetings. Last month’s trivia question was presented by Gordy H, who held the 2018 lead with 5 points. Question: Which pre-M.A.S.H. 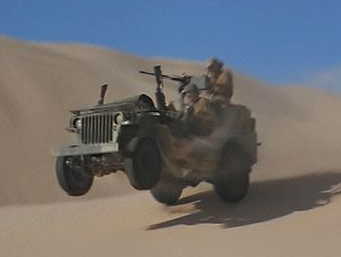 television shows featured a Jeep in a major role? They must have aired pre- 1973. 1. The Roy Rogers Show aired on NBC from December 1951 to 1957. 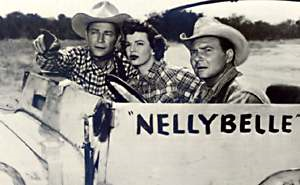 Roy’s sidekick, Pat Brady drove Roy’s infamous Nellybelle. Nellybelle was notoriously fickle and ran only with much creative (PG13), cussing from Pat. Where do you think “Whoa Nelly”! comes from? But that’s for another trivia game. Nellybelle resided at the Roy Rogers Museum in Branson Missouri along with all sorts of other paraphernalia until it closed in 2009. Everything was auctioned by Christie’s. 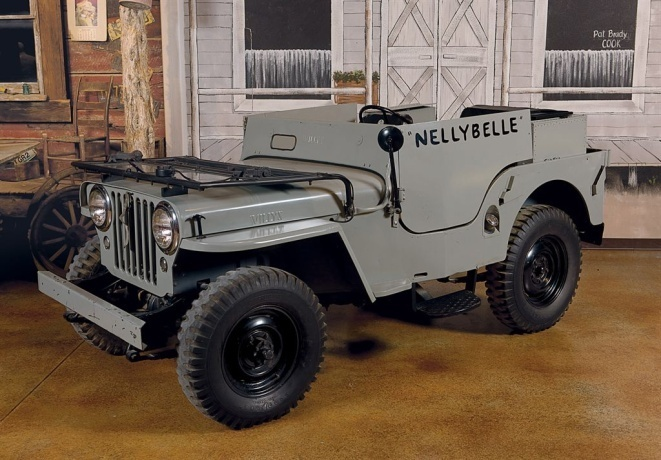 Nellybelle, Roy’s 1946 CJ2A sold for $116,500, while Trigger (stuffed of course), went for $266,500. 2. The Rat Patrol aired on ABC between 1966 and 1968. 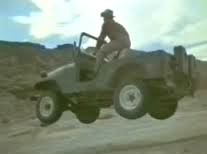 The show was modeled after David Stirling's WWII British Special Air Service (SAS), who created havoc for Germany’s North Africa troops under Rommel’s command. 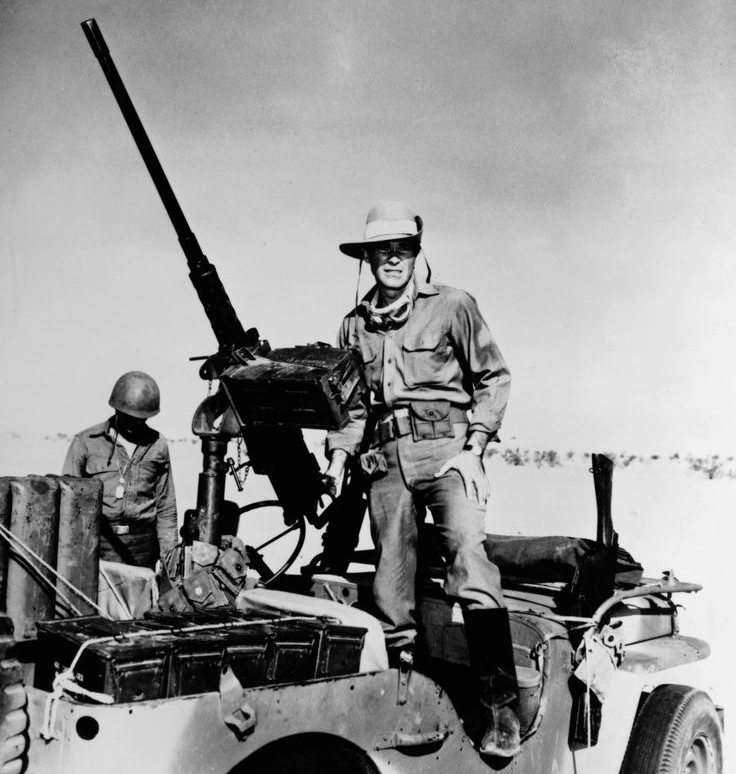 They aggressively drove their machine gun equipped jeeps across the Sahara, getting air whenever possible. 3. Cade’s County aired on CBS from September 1971 to April 1972. It was replaced by M.A.S.H. Glen Ford starred as the Sheriff of Madrid County, a fictitious location in Arizona/New Mexico, it was not exactly stated. 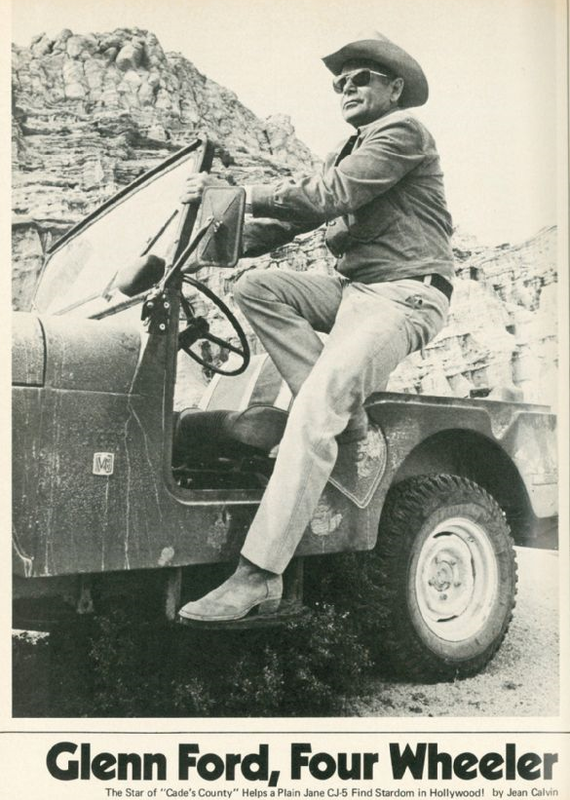 He drove what was then a current model CJ5. This is a reference to War Stories-Rat Patrol... It's about looking for real rats in the trenches during the Vietnam conflict. Sorry, Mike. Several others earned one point for Roy Rogers or Rat Patrol: Mike M, James A, Greg B, Larry M, Paula K, and Dave L. The author initially gave herself one point for Roy Rogers but then decided it was cheating because of a vague recollection of a conversation with her husband in which he discussed this question with her several months ago. Several people guessed Hogan’s Heroes and GI Joe. Perhaps the most innovative answer was “1. I was born, 2. In, 3. 1973. Marc is younger”. Jenn, you Cougar! And the 2018 leaders are: Vic W has 6; Gordy H and Richard H each have 5; Paula K has 4; Brian G, Debbie T, James H, Jim C, Karla H, and Mike M have 3 points each. This month’s trivia will be brought to you by Richard H, who is tied in second place with 5 points.